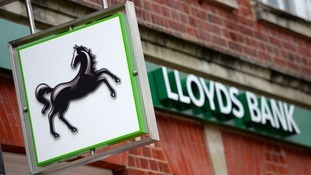 A further nine rural bank branches will close in the south of Scotland this summer, Lloyds Banking Group has announced. Another nine communities in the region are to lose their banks. NatWest says it will close the branches later this year, blaming a drop of at least 30 per cent in branch business as more people do their business on the internet. NatWest says branches in Egremont and Ulverston will close in September followed those in Ambleside, Cockermouth, Grange over Sands, Keswick, Millom and Wigton which will go in October. It is part of a programme of 158 closures across the country which includes an RBS branch in Newton Stewart. A spokesperson from RBS said: “We have seen a dramatic shift in the way our customers are choosing to bank, with more using mobile and online over traditional branch counters. South Lakes MP Tim Farron said NatWest is letting its customers down, particularly the elderly. Whilst a general trend towards online banking is undeniable, Natwest must consider the specific communities that are served by the branches in Ambleside and Grange-over-Sands. There is a significant proportion of elderly residents, many of whom don’t even own a smartphone or have access to the internet. Simply switching to online and mobile banking is not an option, and could put their account security at risk if they are not comfortable using the technology. This decision lets customers down and could leave vulnerable elderly residents without access to vital bank services. Barclays customers in Alston are criticising the bank's decision to close the local branch. It means the Cumbrian town will be without a bank from December. HSBC pulled out less than two months ago. Alston isn't the only rural location to lose its bank. Over the past year alone we have reported on a number of other rural bank closures in Cumbria. But residents in Alston say this closure will really affect their daily lives, as Katie Hunter reports. Rural banks across Cumbria have been closing, as part of a shift towards new forms of banking. Bank account holders have been contacted by someone claiming to be from their banks fraud unit informing them of unusual activity on their account. They are told to hang up and immediately call the emergency number on the back of their bank card. The bogus callers then transfer the caller to a fake bank agent. Thinking that they are speaking to their bank, the account holder discloses their personal details that the culprits require. The callers are then able to transfer large amounts of money out of the alleged 'compromised' bank account.